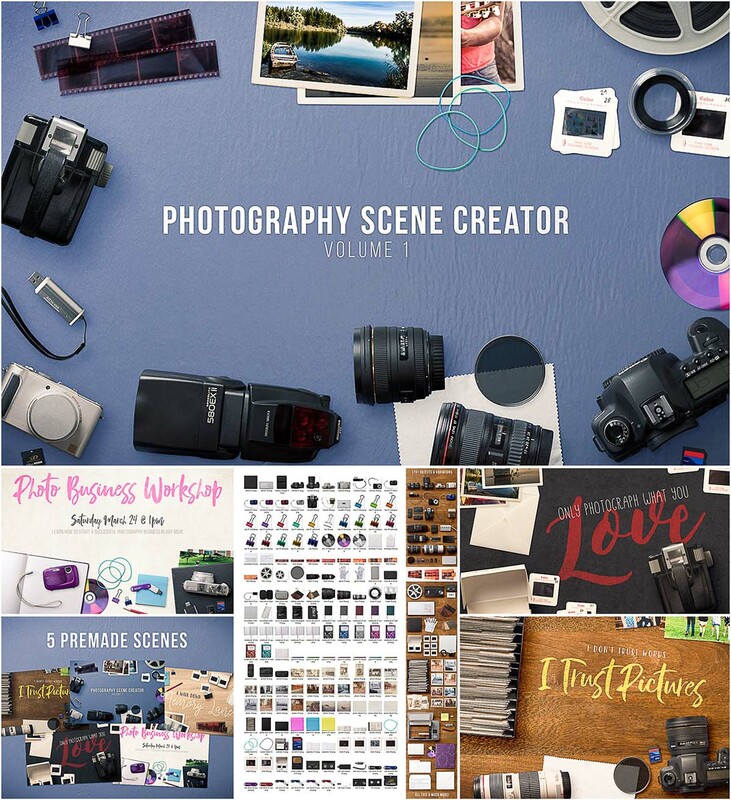 This photography scene creator is perfect for photographers, videographers, and other creatives to design header images, mockups, and more. Included are 170 individual isolated objects, 5 premade scenes, and 5 high resolution background textures. File format: .psd, .jpg, .png for Photoshop or other software. 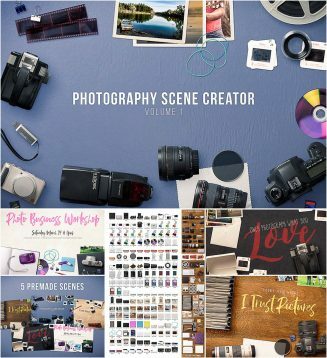 Tags: camera, film, lens, notebook, photography, scene creator, scene generator.